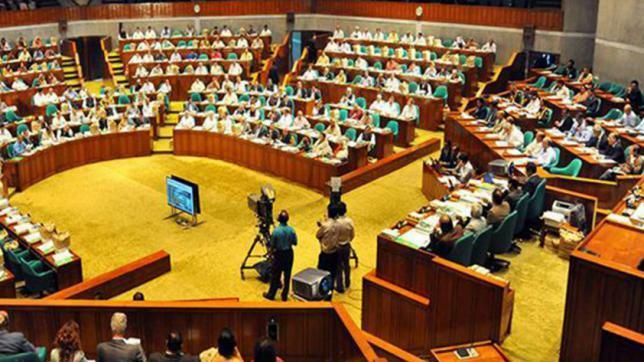 Bangladesh Shishu Academy Bill, 2018 was placed in Parliament on Sunday bringing a few changes to the existing law. State Minister for Women and Child Affairs Ministry Meher Afroz Chumki placed the Bill and it was sent to the respective parliamentary standing committee for further examination. The committee was asked to submit its report within two days. The Bill is the updated version of the existing Bangladesh Shishu Academy Ordinance 1976 which was promulgated during the military regime. In the Bill, the post of director of Bangladesh Shishu Academy has been upgraded to Director General. The governance and administration of this academy will be entrusted with a 19-member management board headed by a chairman. The chairman can be appointed from famous litterateurs and academicians who won Swadhinata Padak or Ekushey Padak.